Incredible flavor, impressive power, and smart state-of-the-art tech: it turns out, one kit really can have it all. 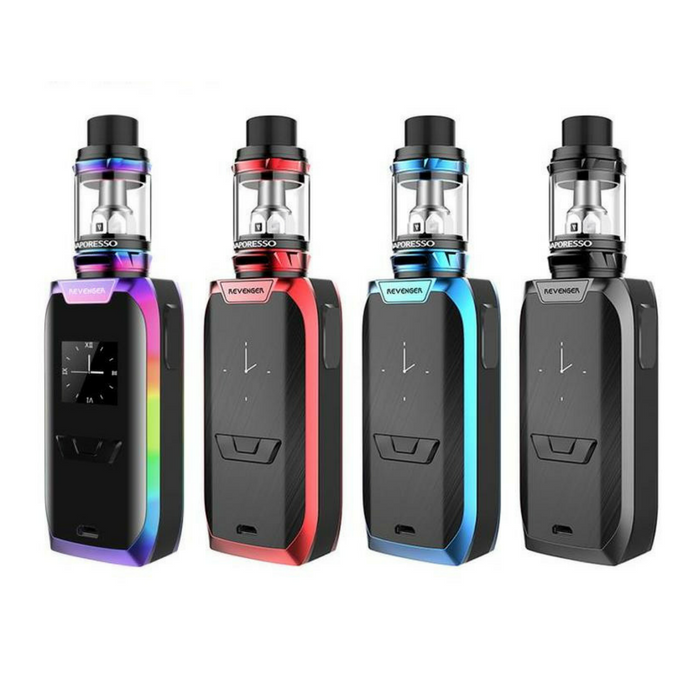 Vaporesso starter kits have earned the respect and loyalty of plenty of members of the vaping community, and all of the great things you’ve heard about Vaporesso kits are true. With a variety collection of kits, there is a Vaporesso option for everyone – no matter your vape style or price point. If you’re looking to make a smart upgrade to your vaping experience, there’s no better way than with a vape kit by Vaporesso. Check out the VaporFi selection today! 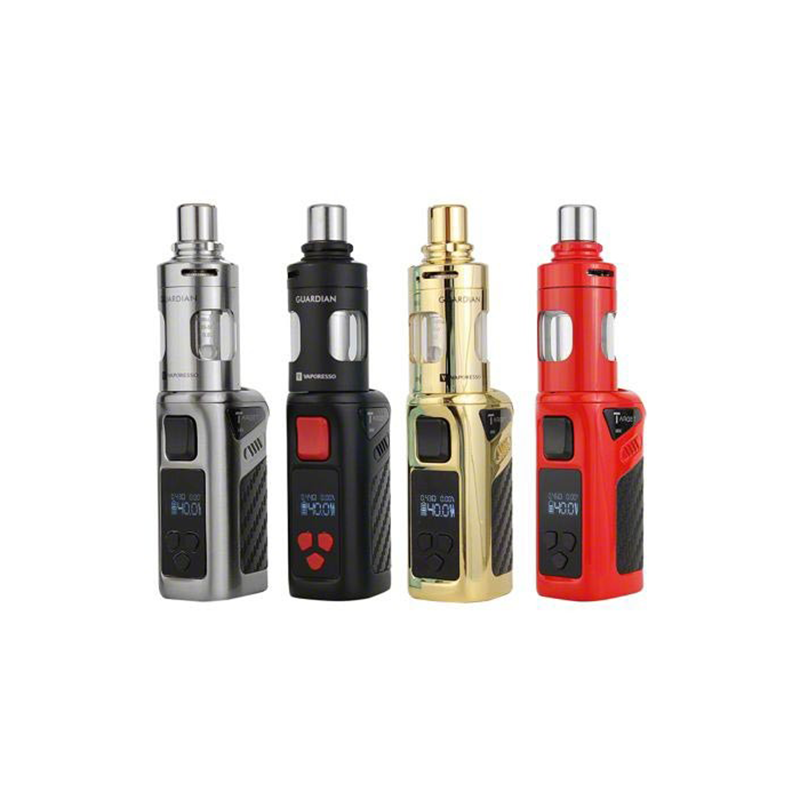 There are a handful of quality kits that can provide you with impressive power and serious cloud production, and Vaporesso makes several of them. However, what truly sets Vaporesso starter kits apart from others is the ability you gain to enjoy your vape juice flavors to their fullest potential. One of the smartest ways to maximize flavor is to play around with adjustable settings on your device, because different temperatures, wattages, and airflow settings can have a significant impact on the vapor’s taste. Vaporesso provides users with a full spectrum of customization options, making you the hands-on creator of your personal vaping experience. Being able to make both small and large adjustments to the device allows you to find that flavor sweet spot you’ve been searching for all along. The Vaporesso Revenger Starter Kit comes equipped with the OMNI Board 2.0 chipset, a high-performance element designed to produce flavorful clouds of vapor. Both durable and convenient, this device makes it easy for you to take a top-notch vape experience on the go, and you’ll look good doing it thanks tothe vape’s sleek, stylish design. The special Freedom edition Revenger Kit is a customer favorite, emblazoned with the stars and stripes for a patriotic twist. The Target Mini Kit from Vaporesso is a smaller, pocket-sized version of the Vaporesso Target Pro Kit. 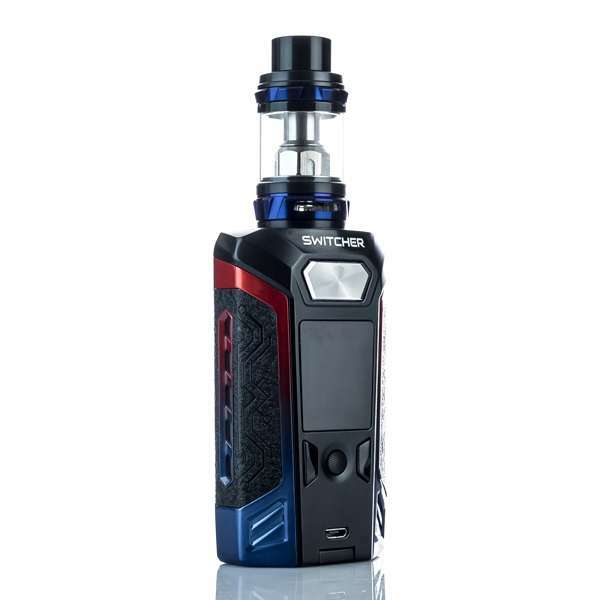 It’s an ideal compact option, with a powerful built-in battery and a firing capacity up to 40 watts. If you want something you can throw in your pocket or purse without a second thought, the Target Mini Kit provides everything you need. The Vaporesso Switcher Kit contains a ton of amazing features in one sleek package. You can reach up to 220 watts, with the ability to easily control the variable power. Plus, the temperature control suite is one of the most accurate and user-friendly options on the market. The advanced user interface puts control at your fingertips, making it easy to produce giant clouds with a smooth taste every time. 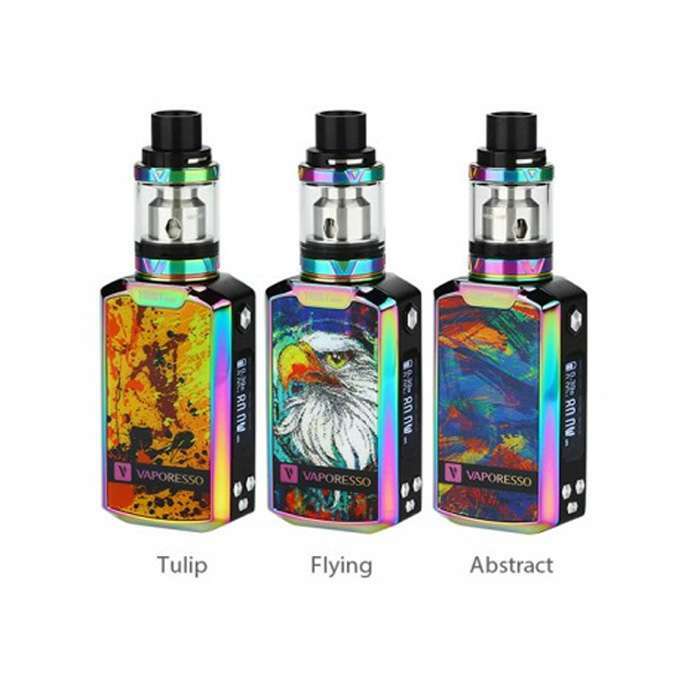 The Tarot Nano Starter Kit offers you the choice of several artistic designs so you can make a serious statement with your device. With the Tarot Nano, you don’t have to choose form over function – variable wattage options, easy temperature control, and customized curve modes give you extraordinary power over flavor and vapor. As you can see, Vaporesso has a pretty impressive line-up. The brand has created a full line of kits that offer a variety of features while sharing one common thread: premium quality performance. If you’re looking at buying a vape starter kit, you’re already well on your way to smart shopping. Instead of purchasing each element of your device separately, a starter kit makes it more affordable – and easier – to get everything you need in one package. You don’t have to waste time searching for every single part, and you won’t end up paying several different shipping fees. Plus, at VaporFi, we often offer special e cig bundles that can save you even more hard-earned cash. Combine that with our rewards program, and your vaping hobby can be more wallet-friendly than ever. We know that our customers have plenty of options when it comes to shopping online for vaping products, which is why we are so committed to being the best of the best. Our incomparable selection is filled with top-notch brands so you don’t have to worry about running into any cheaply-made knockoffs. We even developed our very own VaporFi line of products because we recognized the need for premium products at affordable prices. Our 30-day money back guarantee means that you can shop risk-free, without worrying that you’ll end up stuck with products you don’t like. If something isn’t a good match, simply send it back for a full refund – it’s that easy. Check out our selection of Vaporesso Vape Kits today, and find out why we’re the only online vape shop you’ll ever need.